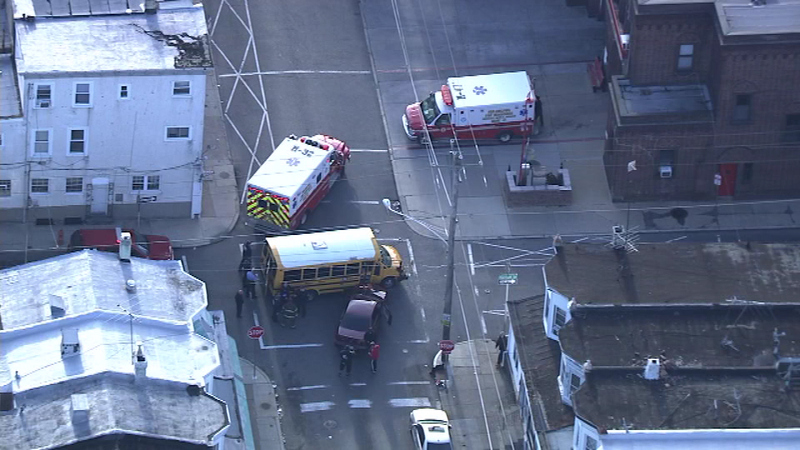 November 1, 2016 - Officials are investigating an accident involving a school bus and another vehicle Philadelphia's Frankford neighborhood. 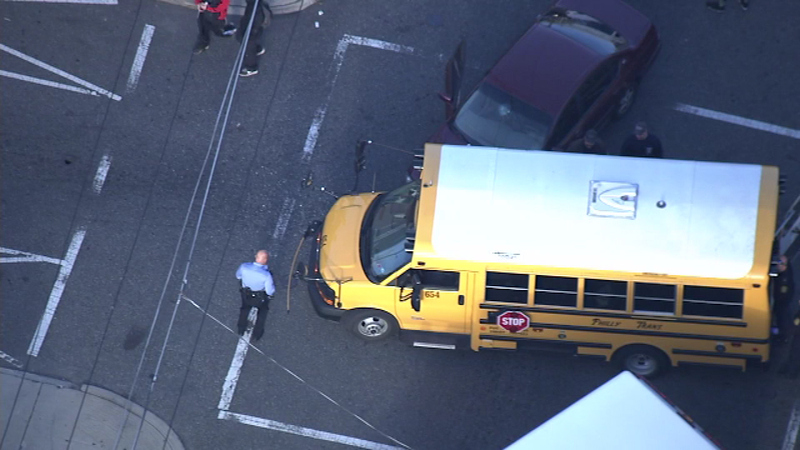 PHILADELPHIA (WPVI) -- Officials are investigating an accident involving a school bus and another vehicle Philadelphia's Frankford neighborhood. 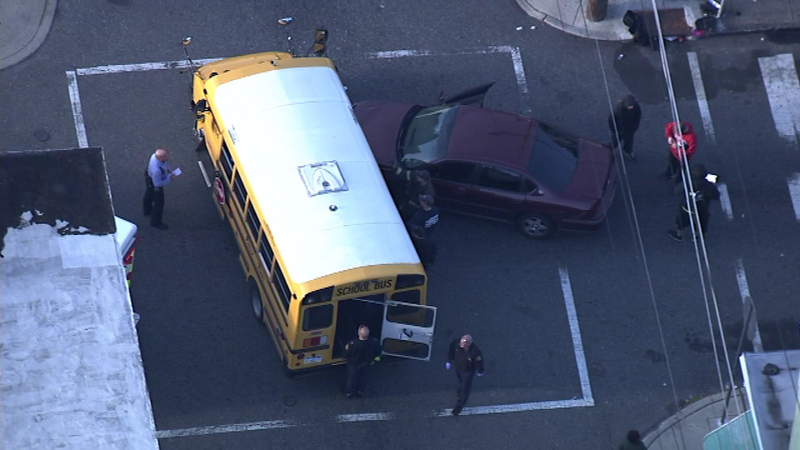 It happened around 8:45 a.m. Tuesday at the intersection Foulkrod and Darrah streets. 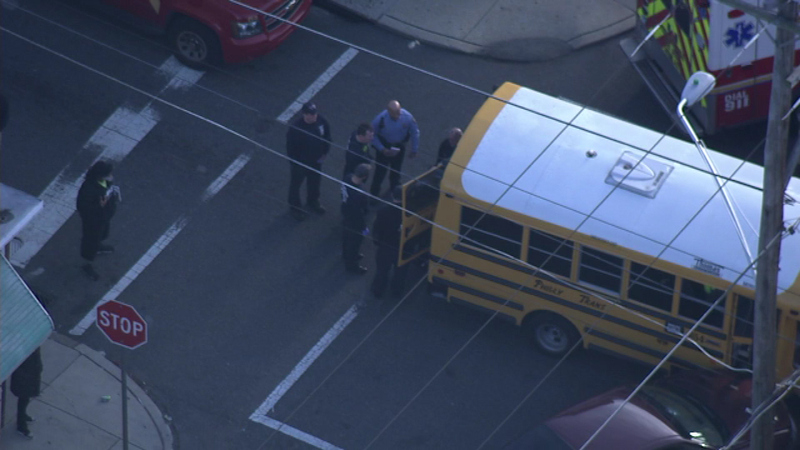 Four children were taken from the bus to a waiting ambulance. The injuries appear not to be serious. 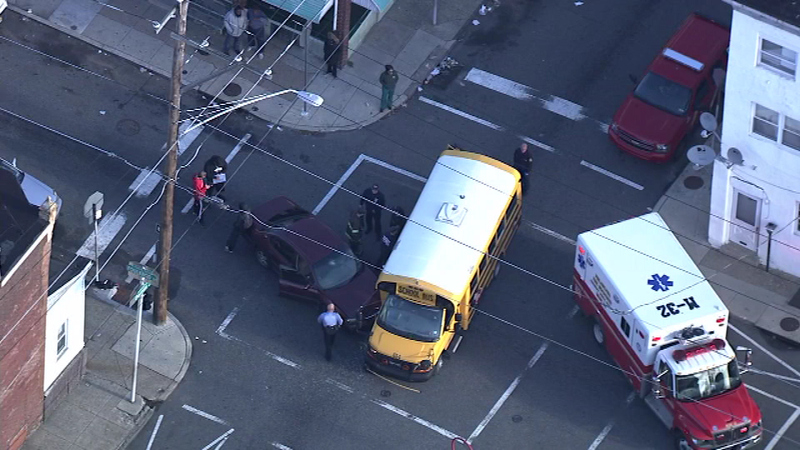 Officials are investigating an accident involving a school bus and another vehicle Philadelphia's Frankford neighborhood. 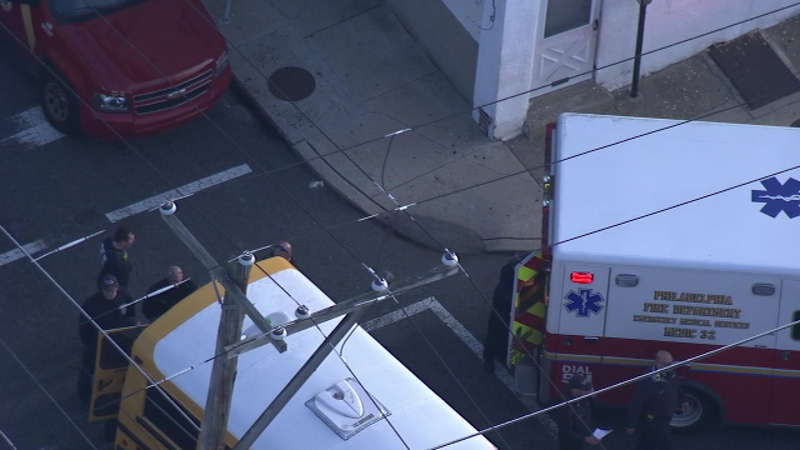 They were taken to the hospital to be checked out, and are expected to be okay. 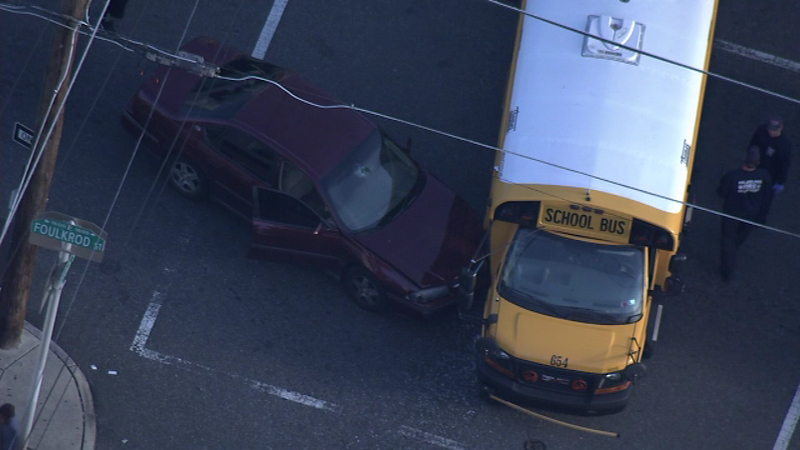 There is no immediate word on what caused the crash.